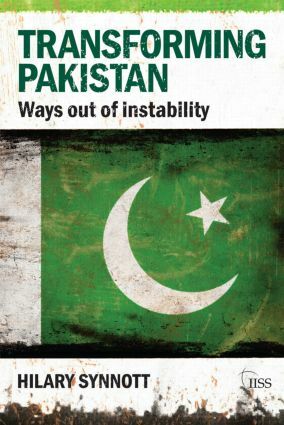 This book argues that any strategy for dealing with Pakistan requires an understanding of the country’s complex and turbulent history and of the weaknesses of its political and other institutions. It describes how, in the absence of an inherent national identity, successive military and civilian governments have made use of Islam and Kashmir, ‘the unfinished business of Partition’, for political purposes. It also examines the role of the army and of its intelligence service, the ISI, in relation to India, Afghanistan and internal political manipulation. The nature and history of the tribal regions in Pakistan and Afghanistan, which are little understood in the West and which explain much of the animosity towards the US, are also described in detail. After 9/11, Pakistan's support for counter-terrorism and military operations in Afghanistan increased the population’s animosity towards the West and hence the government’s difficulties in delivering. Meanwhile, the military leadership hedged its bets by maintaining links with militant organisations and with a re-emerged Taliban. With the arrival of an elected leadership, the emergence of simultaneous political, economic and security crises, tactical errors by the West, and the Mumbai terrorist attacks in late 2008, the situation was complicated further. The book concludes with recommendations, aimed particularly at the new US administration, for a durable long-term relationship with Pakistan, entailing increased attention and resources devoted to institution-building and, over time, the reduction of the role and influence of the army.